A blog dedicated to the little touches that make a big difference. Can I find a wedding dress in less than 6 Months? Brides are often told by bridal boutiques that they need to leave at least 6 months when ordering a wedding dress in their size. This doesn’t include the time it takes to browse the bridal shops to find the perfect dress in the first place so what are the options for brides who have missed out on the wedding dress shop deadlines? If you're lucky enough to find your perfect wedding dress having trawled the rails in the sample sales, brides will still need to factor in the timings and costs for alterations and dry cleaning. We all know women are generally not standard sizes so it’s important to find someone you can trust to do the alterations. Make sure you enquire as to the cost of alterations in advance as these can often be very costly and will be added on top of the wedding dress price. Having a dress made to your bespoke body measurements will create a dress like no other, with a perfect fit. No more feeling self-conscious in a strapless wedding dress or constantly adjusting your cleavage on your wedding day. Brides want to feel comfortable on the dance floor and not worried about how their dress with cope with their excitable dance moves! A bespoke made dress will hug your figure, (whatever your size), perfectly so you will be comfortable as well as beautiful on your wedding day. Each of our dresses are made from scratch to each brides body measurements as we believe every bride should feel comfortable and relaxed on their wedding day in a dress they can rely on. Made to measure dresses require a lot more work and generally require much longer lead times to create, however if you are going to work with a designer personally to create a dress these are usually made in house in the UK. Depending on what you have in mind and the designer's schedule this could be a good option. 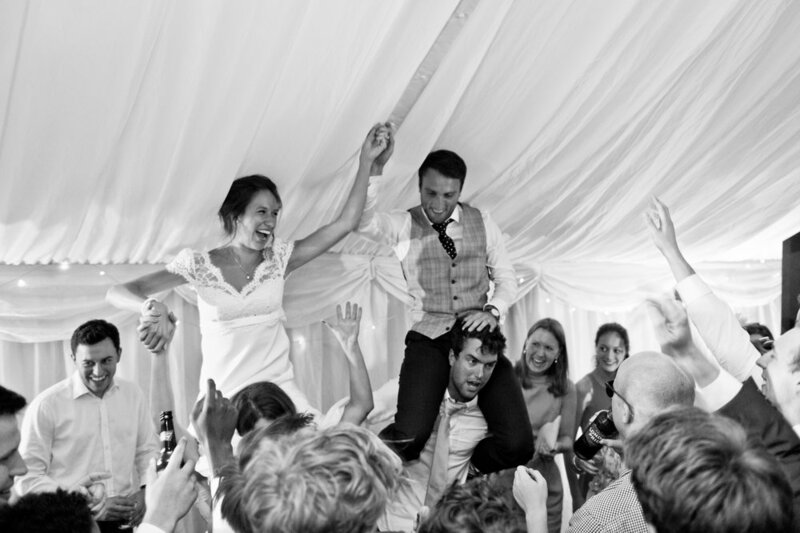 Our real bride Rosie wears our custom made Lottie Dress on her wedding day. Finding a designer who makes their dresses is the UK will also enable you to work to a shorter deadline. Dresses made overseas have much longer lead times and you can’t always guarantee the quality. This is why we will always maintain our studio in London to be able to offer any bride her perfect wedding dress, made from scratch, within shorter timescales. As well as offering a completely personal service so I can work with our brides and our seamstresses throughout the process to make sure our dresses are of the finest quality. A bespoke pattern is made for each of our brides using traditional couture techniques by our experienced team in our London studio. So do not despair if you still haven’t found your dream dress and your wedding is fast approaching there are still options for you if you know where to look. Fittings with Lucy are by appointment only. Some inspiration for an Autumn wedding; ideas for flowers, table decorations, lighting, groom outfits and choosing your wedding colours for an Autumn event.